Koloman Moser (1868–1918), View of the Rax (1907), oil on canvas, 101 x 101 cm, Die Sammlung Leopold, Vienna, Austria. Wikimedia Commons. Between 1897-1907, although primarily trained as a painter, Kolo Moser (1868–1918) was one of the foremost designers in central Europe. He was first a teacher then a professor at the Vienna School of Applied Arts, holding the latter post until his death. His friend, the architect and designer Josef Hoffmann, designed the Jugendstil house that Moser moved into, and Moser himself designed its furniture. 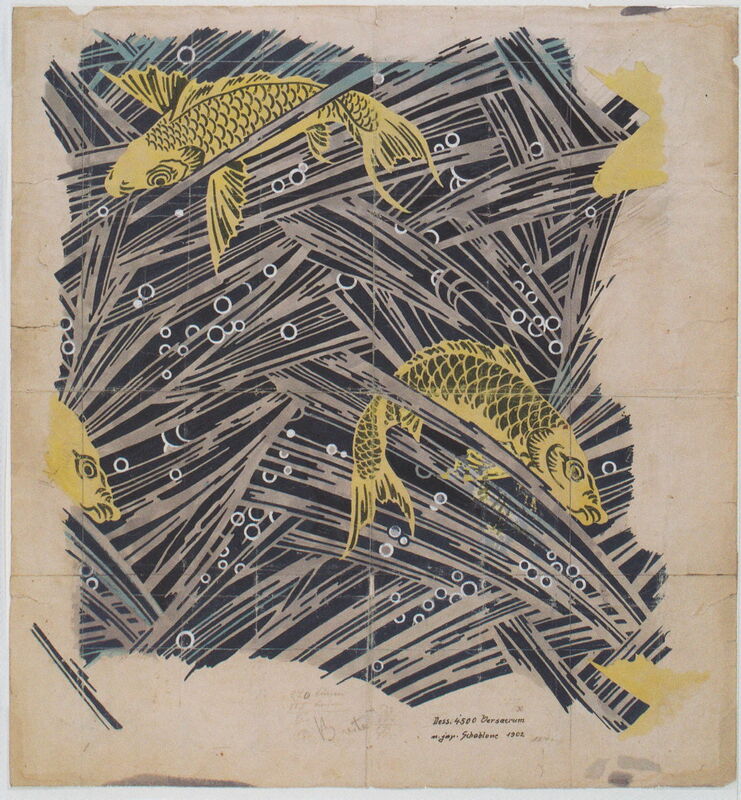 Koloman Moser (1868–1918), Trout Swimming (1899), design for fabric, watercolour and pencil on paper, 44 x 38 cm, Private collection. Wikimedia Commons. Among the many products which Moser designed were fabrics manufactured by Backhausen, for whom he produced this drawing of Trout Swimming in 1899. This coincided with a phase in Klimt’s work in which fish, air bubbles, and water appeared, for example in his Fish Blood (1898), published in the Secession’s magazine Ver Sacrum, and Mermaids (Silverfish) (c 1899): see this article. Koloman Moser (1868–1918), Loneliness (1902), woodcut proof print, watercolour on paper, 21 x 23 cm, Die Sammlung Leopold, Vienna, Austria. Wikimedia Commons. 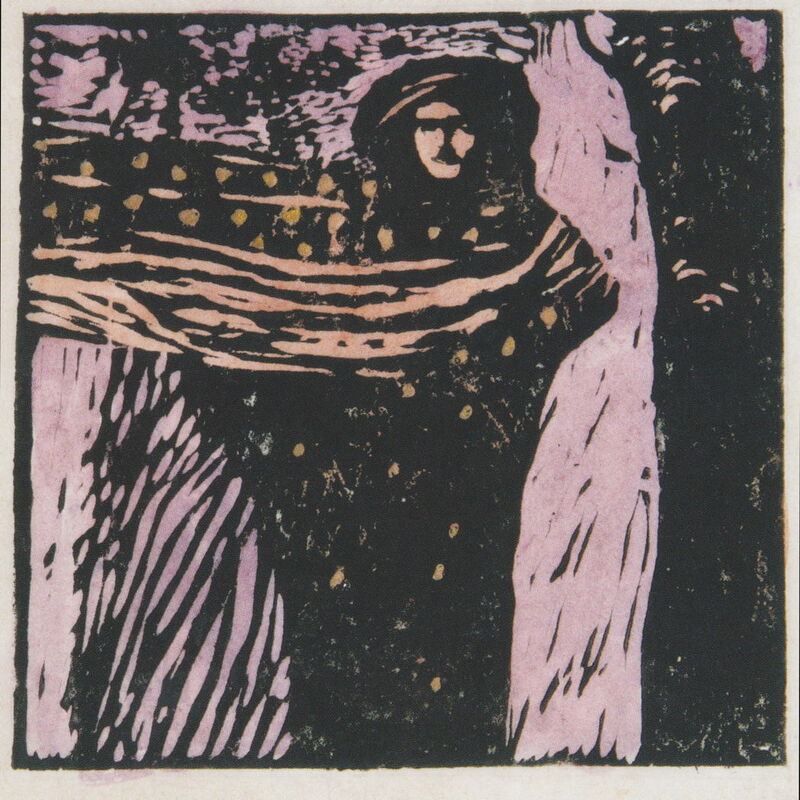 Moser was particularly active in making prints, including this woodcut of Loneliness from 1902. The patterning employed in this man’s clothing is reminiscent of that seen in the clothing and backgrounds of some of Klimt’s paintings. He seems to have been attracted to the forms seen in dance. 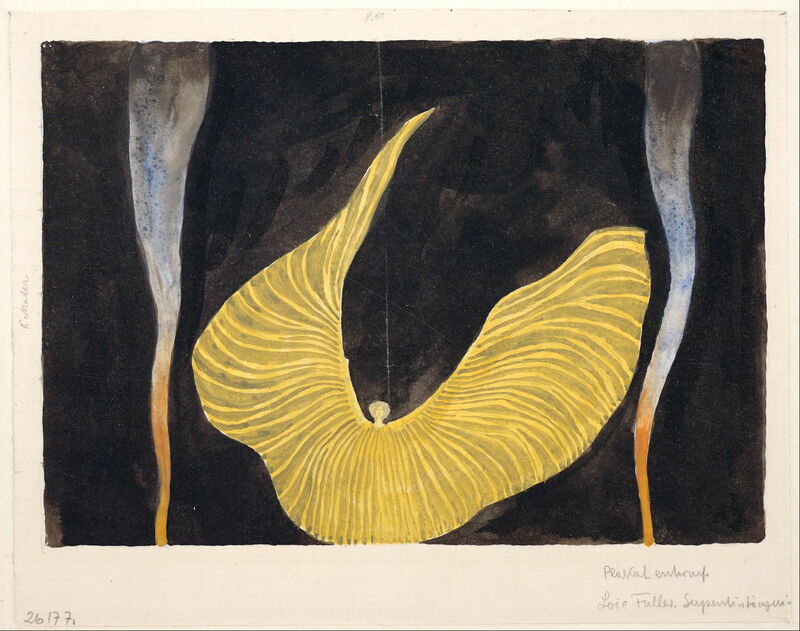 This wonderful ink and watercolour drawing of Loïe Fuller in the Dance “The Archangel” from 1902 is particularly distinctive, and seems to have been quite widely reproduced at the time. In 1903, Hoffmann, Fritz Waerndorfer and Moser realised their ambition of creating a world-leading craft workshop in the Wiener Werkstätte. At its height, it contained the studios and workshops of designers and fabricators of everything from jewellery to furniture, and from pottery to toys. Koloman Moser (1868–1918), Bookplate with Princess and Frog Design for Adele Bloch (c 1905), handcoloured appliqué On Japanese paper, 13.6 x 9.5 cm, Österreichische Nationalbibliothek, Vienna, Austria. Wikimedia Commons. 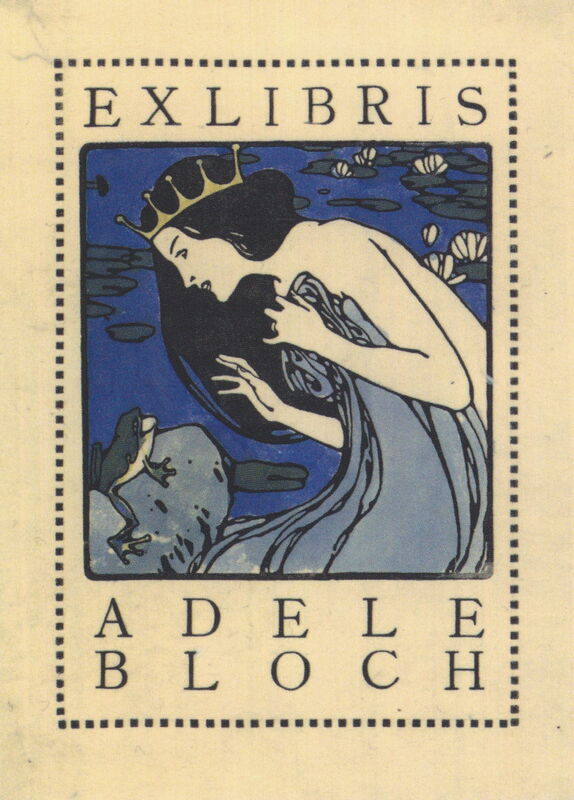 Whilst Gustav Klimt painted his famous portraits of Adele Bloch-Bauer, Moser made this charming bookplate for her, featuring the legend of the Princess and the Frog, in about 1905. Unfortunately, in 1905 the Vienna Secession split, with Gustav Klimt, Moser, and others separating over artistic differences. This was followed in 1907 by a rift with Fritz Waerndorfer over the Wiener Werkstätte, which Moser then left. He travelled with his wife (they had married only two years previously) to Venice, and Moser returned to painting. His major influences were Klimt’s landscapes, then those of Ferdinand Hodler, the Swiss painter who was a good friend of Klimt and closely associated with the Vienna Secession. 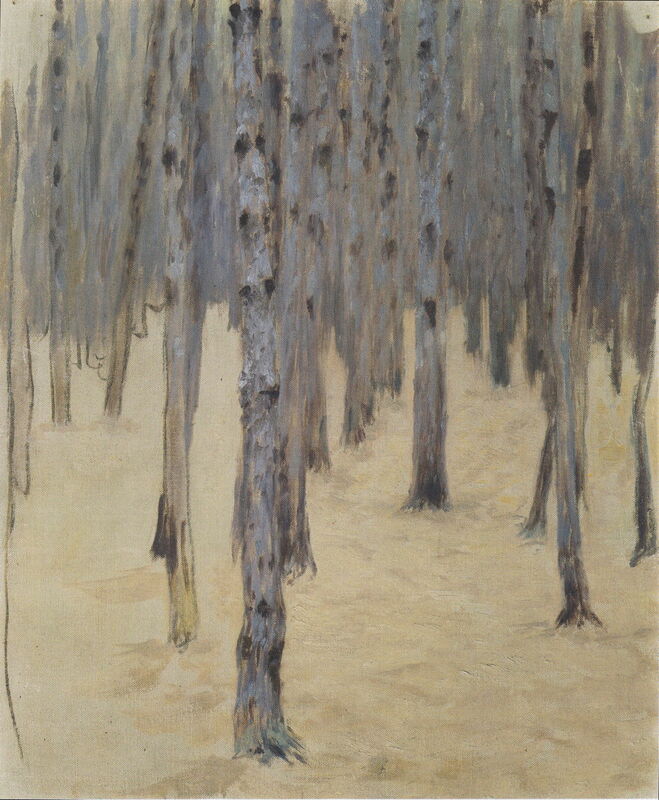 Moser’s Pine Forest in Winter from about 1907 appears influenced by Klimt’s holiday landscapes from Attersee and elsewhere, and perhaps has roots in an earlier print too. 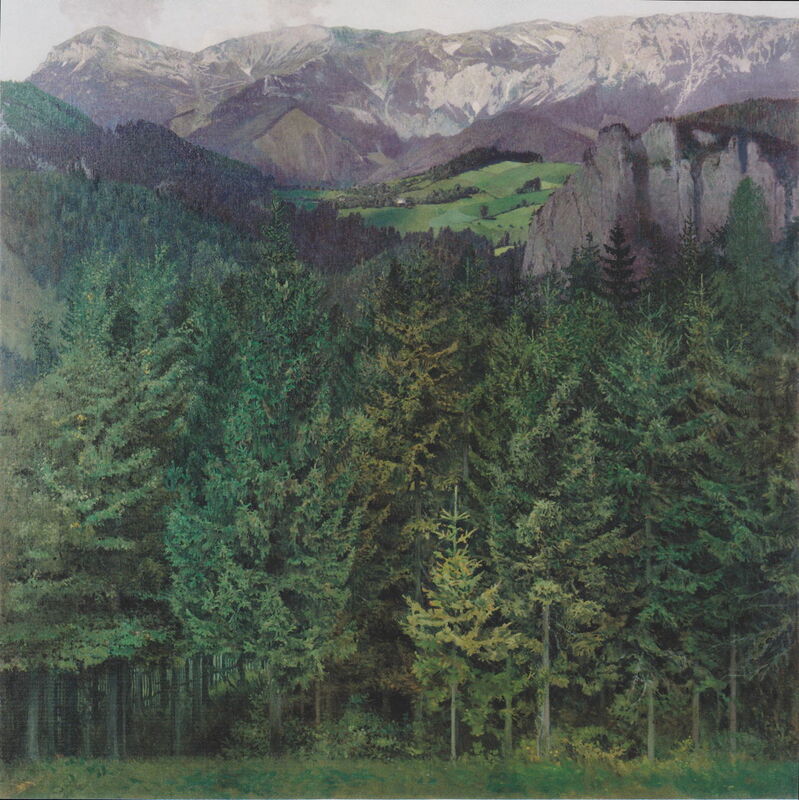 When he resumed painting seriously, Moser travelled out to the nearest mountain range to Vienna, the Rax Alps, which are only about an hour away by train. When visiting this area in 1907, he painted one of his first major landscape works, this View of the Rax. These mountains are not particularly high, rising to a high plateau at about 1500 metres (under 5000 feet) with peaks which only just reach 2000 metres (6500 feet), but they look suitably rugged. 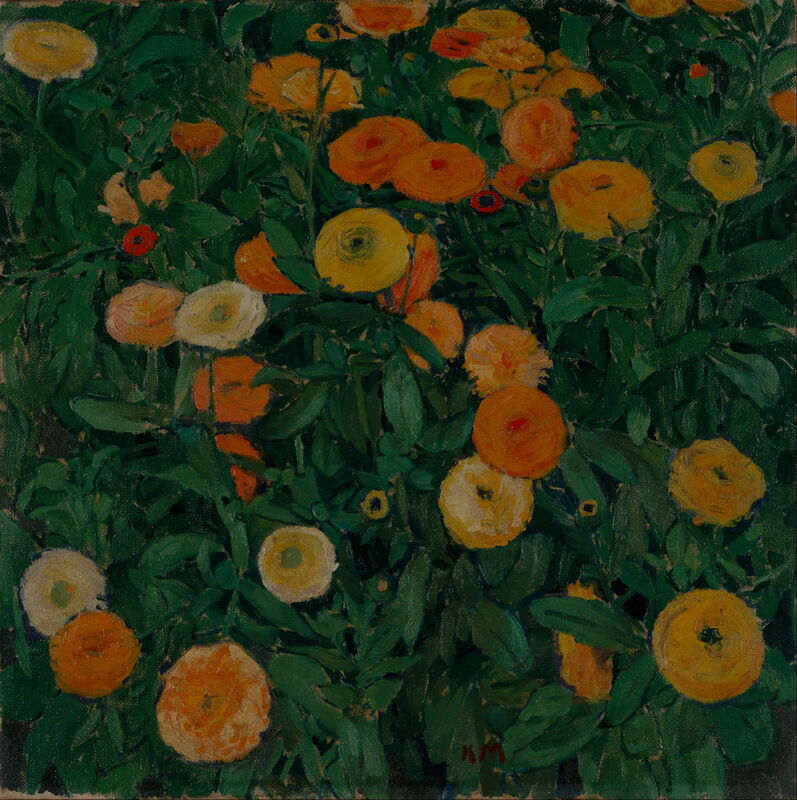 Koloman Moser (1868–1918), Marigolds (1909), oil on canvas, 50.3 x 50.2 cm, Die Sammlung Leopold, Vienna, Austria. Wikimedia Commons. In addition to his early influence from Klimt, Moser apparently embraced some of the concepts of Impressionism, as seen in the high chroma colours in his Marigolds from 1909, although his style here is still quite tightly detailed. 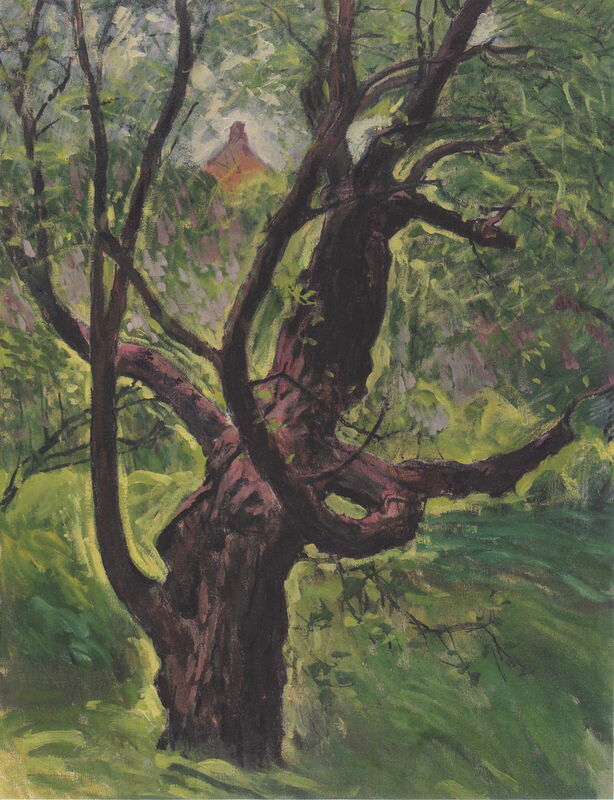 Koloman Moser (1868–1918), Mulberry (c 1909), oil on canvas, 100 x 75 cm, Private collection. Wikimedia Commons. Mulberry from about 1909 shows looser and more painterly brushstrokes, perhaps the result of it being painted en plein air. Koloman Moser (1868–1918), Dancers Elfriede Rossi and Miss Macara in Julius Bittner’s ‘Rose and Butterfly’ (1909), print, dimensions not known, Museen der Stadt Wien, Vienna, Austria. Wikimedia Commons. Moser didn’t stop designing or print-making altogether. 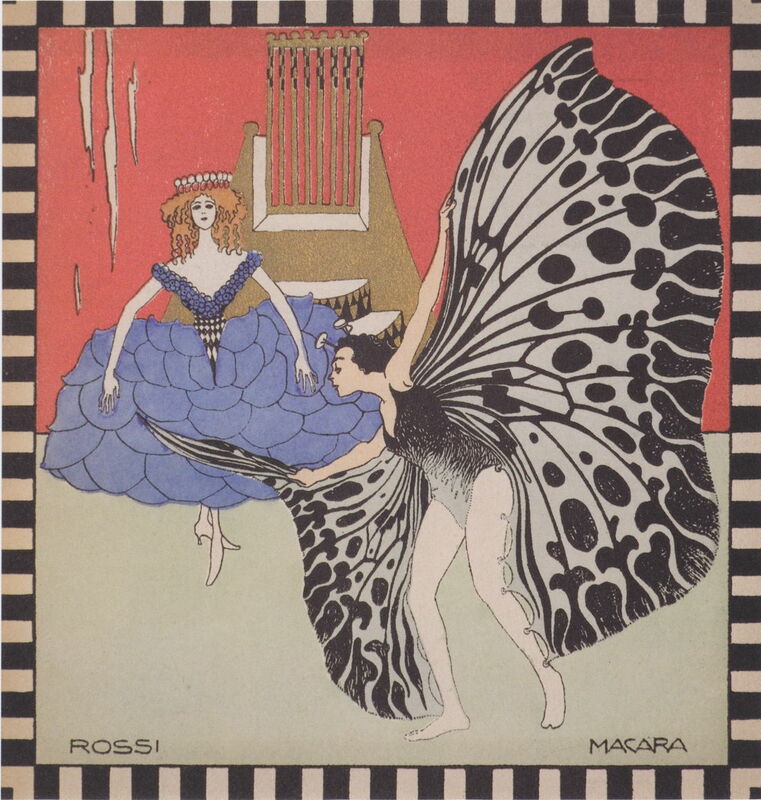 This print of the Dancers Elfriede Rossi and Miss Macara in Julius Bittner’s ‘Rose and Butterfly’ was made for the title page of the programme for this ballet-pantomime performed in 1909. Koloman Moser (1868–1918), Parrot Tulips in Bloom (c 1910), oil on canvas, 79.5 x 88.5 cm, Private collection. Wikimedia Commons. 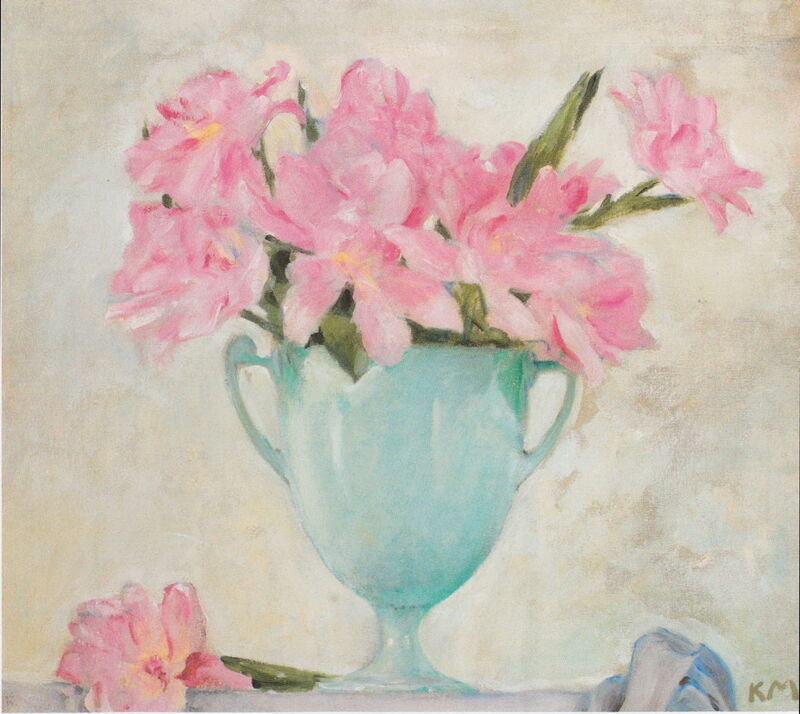 He also painted a few delicate floral still lifes, including Parrot Tulips in Bloom in about 1910. Koloman Moser (1868–1918), Girl with Necklace (1910), oil on canvas, dimensions not known, Die Sammlung Leopold, Vienna, Austria. Image by Yelkrokoyade, via Wikimedia Commons. 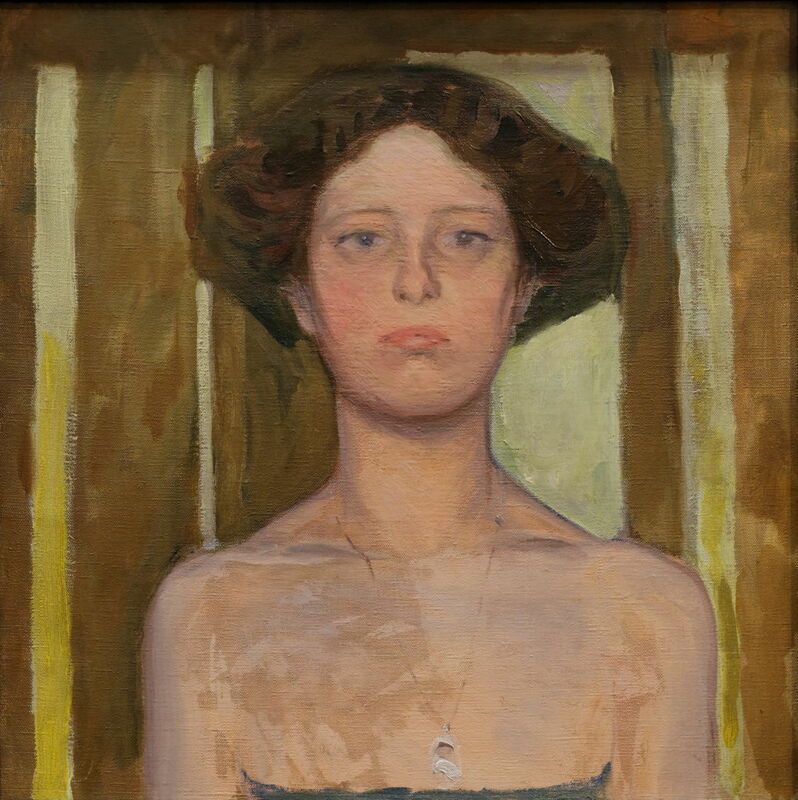 His few portraits, such as this Girl with Necklace from 1910, seem to follow the style of Klimt’s earlier paintings too. 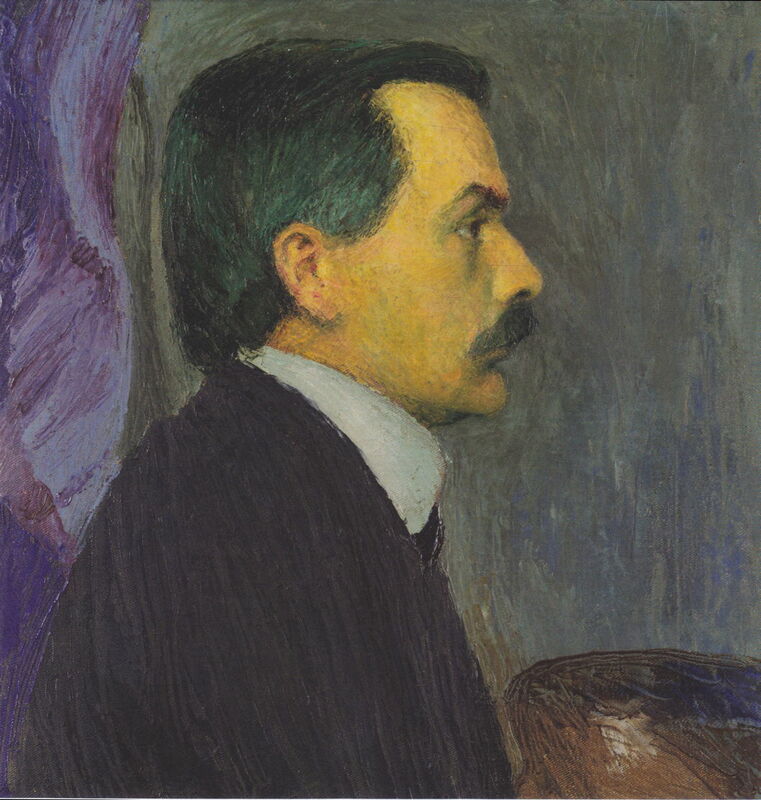 Koloman Moser (1868–1918), Self-portrait (c 1910), oil on canvas, 50 x 50 cm, Museen der Stadt Wien, Vienna, Austria. Wikimedia Commons. Moser painted this rather formal and jaundiced Self-portrait in about 1910. Posted in General, Life, Painting and tagged art nouveau, ballet, dancer, Hoffmann, Klimt, Moser, painting, Secession. Bookmark the permalink. Welcome again, and thanks for your kind remarks. There are two ways of getting easy access to the Art/Painting posts alone. If they want a newsfeed, then I explain how to customise that in this article. Alternatively, they can bookmark this page in their browsers, which displays just the newer posts. Thank you. Much obliged. My “Moms” will love the Art / Painting posts. Just finally read your Profile – No wonder I kept saying “eclectic” – only I had no idea! You should write a book. There’s a great autobiography in there. Kudos. Can’t find the right words before coffee, but the spirit is that you’ve done a lot more living than most & a lot of really cool stuff, too! Thanks, again! Cheers.